Experience your pool again with a beautiful concrete pool deck. One of the biggest trends in outdoor design today is a decorative concrete pool deck, a colored, textured and inviting area surrounding the pool that does more than provide a safe, slip-resistant deck for sunbathing and barbecuing. Inground pool decks are now given nearly as much attention as the interior design of the home. Midwest Concrete and Construction has help thousands of home owners transform their backyard from pool to oasis with a beautiful decorative concrete pool deck. Midwest Concrete can repair, design and construct a concrete pool deck that will transform your outdoor living! 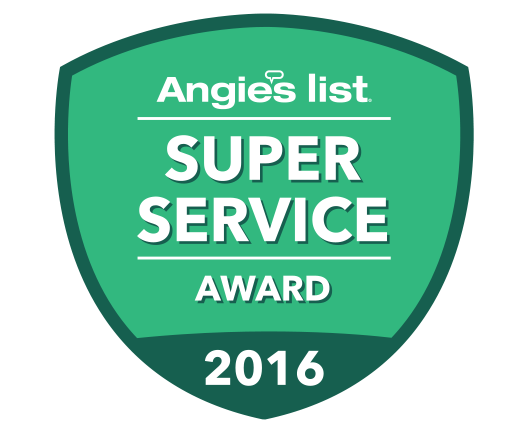 Repair or replacement of cracked pool decks. So, why should I choose Midwest Concrete for my new concrete pool deck? We are the best! 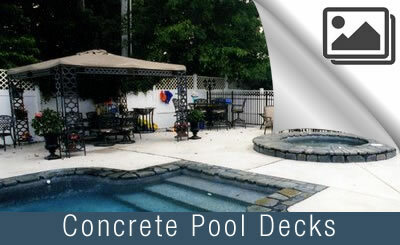 Midwest Concrete has been designing and constructing pool decks longer than anyone in the area. If you want a breathtaking pool deck that will stand the test of time, we can help. Since 1978, Midwest Concrete and Construction has specialized in custom colored, stamped concrete, exposed aggregate concrete and standard finish concrete hardscapes for commercial and residential customers in the St. Louis, MO metro area. We can help you design a beautiful concrete project that you’ll be proud of, and will add pleasure, curb appeal and value to your property. 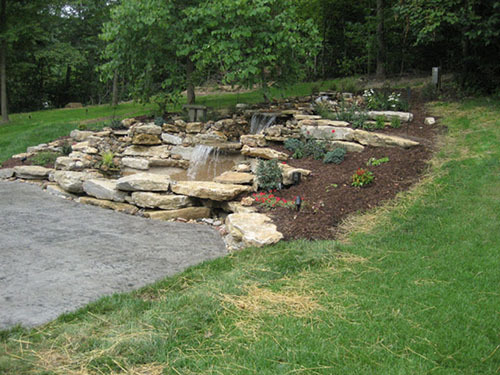 Midwest Concrete crews are professionals at transforming backyards into a luxurious extension of your home. Our concrete pool decks often become the new favorite area to relax, entertain, and cook. Connected to or located near the home, we blend the interior with the exterior by matching the stone facade of their house with decorative concrete to create that unique look without the expense of installing traditional individual stones. Turn your pool into an area that you love with the help of Midwest Concrete. Call us at 636-451-5424 or contact us online to start your concrete pool deck project. Concrete pool decks are more affordable and comparable to stone, brick or other materials, however a concrete pool deck will be the better value. Why? They are Longer-lasting, require less maintenance, and cost-effective are the top three reasons people choose a concrete pool deck by Midwest Concrete and construction. There are all sorts of Do It Yourself sites and concrete calculators websites that will lead you to believe it is easy to do, or cost too much, or is extremely cheap. However, with over 38 years of being in business we can tell you that every situation is unique. 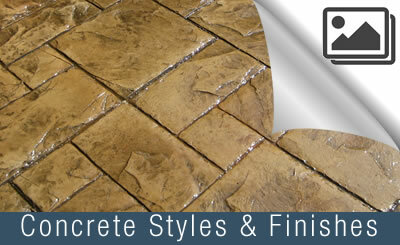 That is why Midwest Concrete offers onsite free estimates. We’ll talk with you about choice, the size of the patio, how it will function, concrete finishes and then provide you with a true estimate on constructing your new patio.